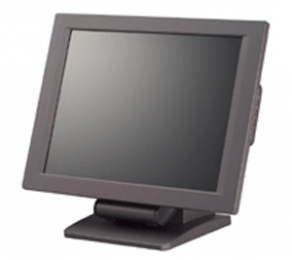 Suitable for the most diverse industrial and OEM applications, you also get the robust TVS monitors in special housing versions for direct installation in furniture, counters, or industrial devices. In addition, you select the suitable version for your application from a range of diverse sizes. Furthermore, the splash-protected panel and diverse equipment options, such as the external keypad, enormously expand your range of applications. The displays range in size from 16.3 cm 6.4 and 38.1 cm 15 and have extremely robust steel housings, making them predestined for installation in devices, racks and furniture. Whether you decide on the optional stand, VESA mount option or place the screens onto the rear side of devices or furniture using a bracket kit, the compact housing allows you easy integration and the greatest possible flexibility for different housing designs. The monitor is easily adjusted using the external, wired keypad. Even after installation the monitor can be optimally calibrated and configured, including at a later stage. For applications in public surroundings as well as for carrying out events the monitor is optionally available with an especially resilient all-glass surface - the industrial displays from TVS feature a brilliant presentation as well. If you application requires an integrated touch function, the industrial series offers a corresponding solution - with professional technology from Elo. Using 5-wire resistive touch technology you directly run the application and can usually do without additional entry devices.